Marisa Lally traveled to Chile during Summer 2013 to take part in the ISA Summer Spanish Language and Latin American Studies, Chile study abroad program. “It’s amazing how a group of people from three different countries, with three distinct cultures and languages, can share a meal, ideas, and laughter. Despite the barriers, we understand each other. It’s rather beautiful.” A Chilean woman shared this sentiment with me as we sat around a table with my Chilean family and friends as well as a few Japanese friends, clinking glasses together with cries of “Kampai,” “Salud,” and “Cheers!” filling the spaces between laughter. When I reflect upon my study abroad experience in Viña del Mar and Valparaíso, Chile, her words most accurately encapsulate the impact the experience had on my view of the world: a more globalized community is a more beautiful community. As ideas spread like wildfire in our fast-paced society, one must be an active global citizen and engage in the conversation. 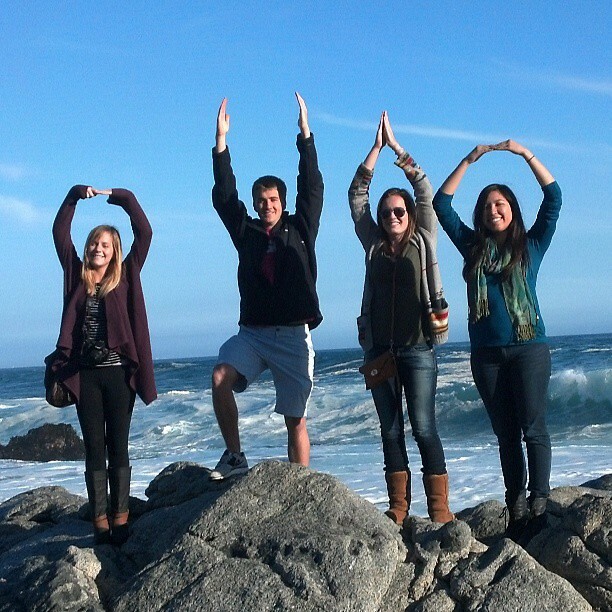 For a student at one of the best universities in the world, The Ohio State University, study abroad is the best opportunity for global engagement. By living with an incredibly gracious host family I was immersed in the Chilean culture. I also took classes at La Pontificia Universidad Católica de Valparaíso and studied the literature and history of Latin America, particularly of Chile. As a double major in International Relations and Diplomacy and Spanish, my original goal of traveling to Chile was to practice Spanish. Although the Spanish language inspires me and captures my attention, I left Chile with a passion for Latin America and its complex role on the world stage. My experiences outside of the classroom in the dynamic country of Chile supplemented the fascinating stories I learned in class. For example, we read Pablo Neruda’s romantic and influential poetry which was often inspired by nature, love or the Chilean political climate. Although his poems were beautiful on their own, they were incredibly powerful when I stood at his writing desk which overlooked his beloved Pacific Ocean at Isla Negra, the sea which inspired so much of his work. On a similar note, watching a documentary about the 1973 military coup seemed so much graver having stood in front of El Palacio de la Moneda in Santiago a week before. Toward the end of my stay I stood in another one of Pablo Neruda’s three houses, La Sebastiana. Here I overlooked the sea he loved so dearly and Valparaíso, a UNESCO world heritage site. One of Neruda’s most famous lines of poetry came to mind, “Es tan corto el amor y es tan largo el olvido.” “Love is so short and forgetting is so long.” Although my stay in Chile was only six weeks long, its impact will be everlasting. Not only did Chile inspire my personal and professional goals, it also gave me the tools to be a more active and well-rounded global citizen.